When a contact is added to a campaigns audience manually, they will achieve any added to campaign audience goals, and in some cases, trigger goals. In this article, we will show you how to manually add and remove contacts from a campaign&apos;s audience. Click here to take our in app tutorial. 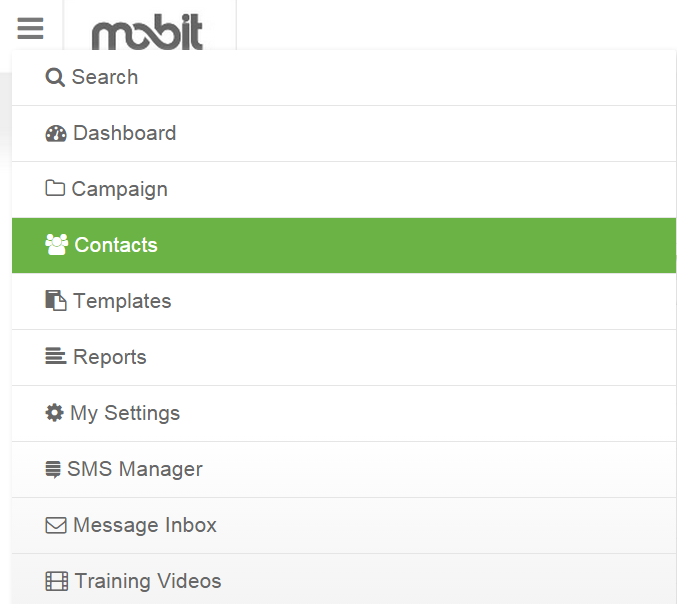 1 - Navigate to the contacts section of MOBIT. 2 - Select the contacts you would like to action by checking the box to the left of the contact, then from the action drop down menu, select &apos;Add to/Remove from Campaign Audience&apos;. 3 - Select which campaigns you would like to add or remove contacts from then click save. Contact will not achieve a trigger or added to campaign audience goal if they are already in the campaign&apos;s audience. You should first remove them from the campaign&apos;s audience, then re-add them.